At 7:30 pm on Wednesday, March 13, the London-based Philharmonia Orchestra, with Esa-Pekka Salonen at its helm, will take the stage at Hill Auditorium for the second concert of its two night residency. 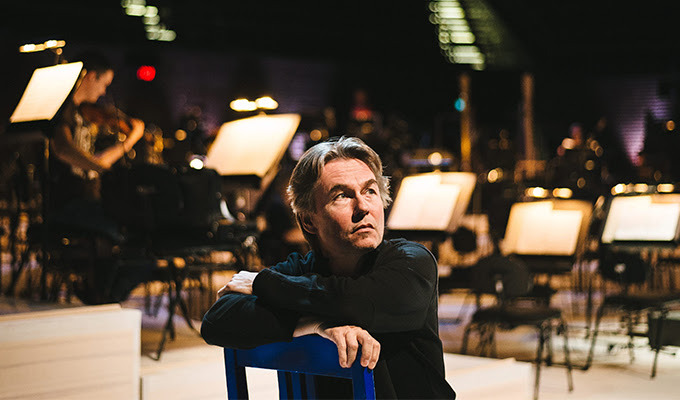 Composer and conductor Esa-Pekka Salonen is currently the Principal Conductor and Artistic Advisor for the Philharmonia Orchestra, and he was formerly the music director of the Los Angeles Philharmonic. In 2020 he will take the role of Music Director of the San Francisco Symphony. The evening’s program will consist of Arnold Schoenberg’s Verklärte Nacht, Op. 4 (Transfigured Night), originally a string sextet in one movement that the composer later arranged for string orchestra, followed by Anton Bruckner’s Symphony No. 7 in E Major. Don’t miss the opportunity to enjoy a performance by the last major orchestra of the University Musical Society’s 2018-19 season! Tickets may be purchased online or at the Michigan League Ticket Office, and they are $12 or $20 for students, depending on seat location.